In order to deny the possibility of crises, the bourgeois economists strip capitalist production of everything that makes it specifically capitalist, and which, therefore, is the basis of those contradictions. In fact, even more than that. Ricardo's comment that production is only undertaken for the purpose of consumption by the producer, or for exchange by them for some other item of consumption, even strips the commodity of what it is that makes it a commodity, i.e. a fusion of use value and exchange value. It turns it back into merely a product, a use value created by labour, only for direct consumption. And, when Ricardo, in the quote given at the start of Section 8, spoke about these products being bought by other products, or services, by which he means the service provided by wage labour, he thereby denudes this wage labour of all content too. It reduces this wage labour to also being just a use value, rather than a commodity – labour-power – and also, thereby, removes its specific nature of being the means by which value is expanded, and surplus value created, and so turned into capital. But, Marx says, those economists like John Stuart Mill, who merely explain crises by describing the potential for them to arise, are no better. In the end, they basically explain the crisis on the basis of the existence of the crisis. Just because there is a potential for crisis does not explain why in one instance that potential results in an actual crisis, but in another instance it does not. The same can be said of those who want to explain crises on the basis of the law of the tendency for the rate of profit to fall. As Marx describes that law it is one that proceeds gradually over a very long period, and is much less than it is said to be. Moreover, he sets out why a fall in the value of fixed and circulating constant capital can neutralise it. He believed that the fall in those values was not adequate to offset the rise in the quantity of them employed, but that it was enough to neutralise any consequent fall in the rate of profit. "The cheapening of raw materials, and of auxiliary materials; etc., checks but does not cancel the growth in the value of this part of capital. It checks it to the degree that it brings about a fall in profit." 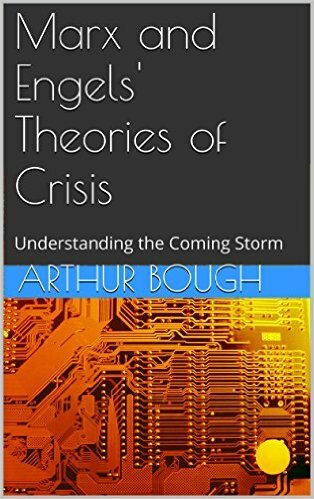 So those who see it as a cause of crisis need to explain, how it results in crisis, and why this law operating continually over a long period results in crises at some times, but not at others.